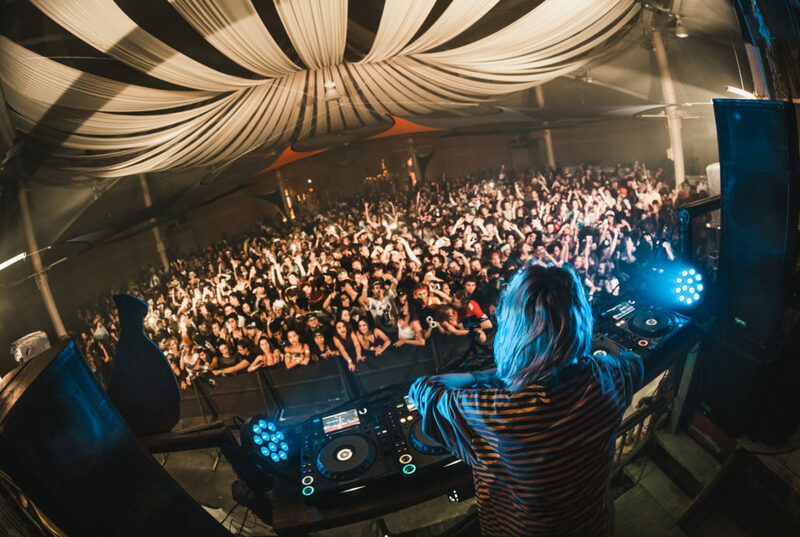 Earl Warren Showgrounds offers facility rentals for a wide variety of events, both large and small. Elegantly appointed public banquet and meeting room perfect for business meetings, wedding receptions and private parties. Covers 22,000 square feet and has built-in box offices, a deli facility and full kitchen facility. 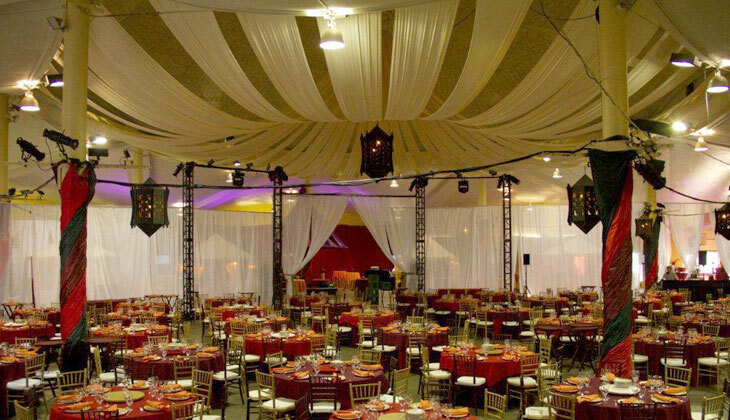 One of the largest public banquet and meeting hall facilities available in the Santa Barbara Area. 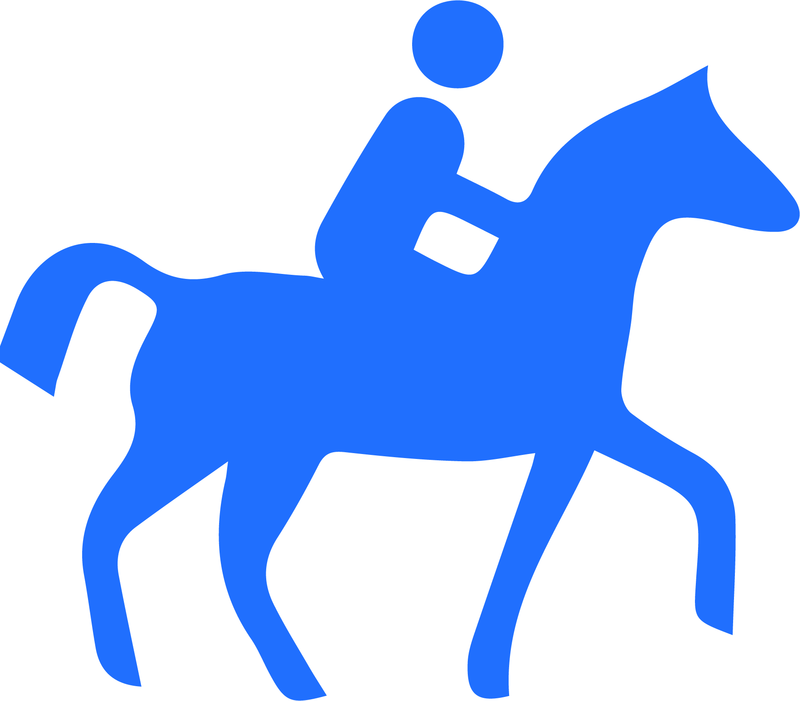 Home to over 20 equestrian events each year including the prestigious Santa Barbara National Horse Show and Santa Barbara Amateur Horse Show. Over 1000 parking spaces on the 34 acre site. With open space at a premium locally, the Parking Lots at the showgrounds are also available to rent for special events. Well landscaped garden bordered on the north by the Administration Building patio and containing a small stage. Earl’s Place Main Room: 4,200 sq. ft.
Earl’s Place Covered Patio: 950 sq. ft.
Earl’s Place Including Patio: 5,150 sq. ft. The Exhibit Hall can be easily converted into a impressive trade show or exhibit venue and has housed as many as 105 (8’x10′) pipe and drape trade-show booths. 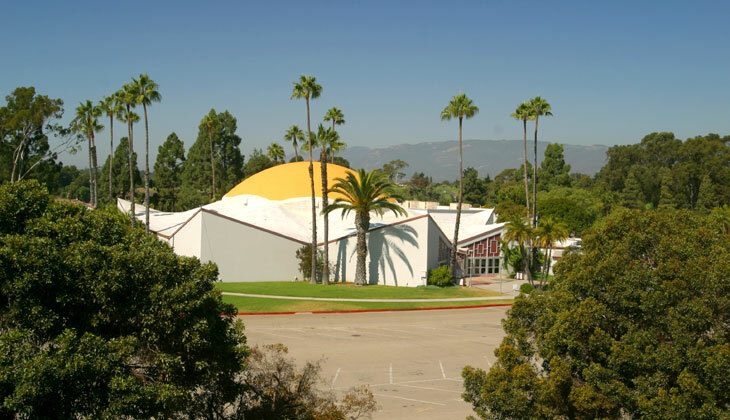 The building has hosted many trade shows including Antique Shows, Gem Fairs, and is home to the annual Santa Barbara International Orchid ShowThe building can be equipped with a stage, background curtains and chairs making it an effective venue for concerts, lecture events, dances and sporting events. The Exhibit Hall at the Earl Warren Showgrounds was originally constructed as the permanent home for the Santa Barbara National Flower Show. The unique structure was designed to resemble a giant daisy with 43′ foot dome ceiling at the flowers center and eight pedals extending in all directions. The Exhibit Building covers 22,000 square feet and has built-in box offices, a deli facility and full kitchen facility. 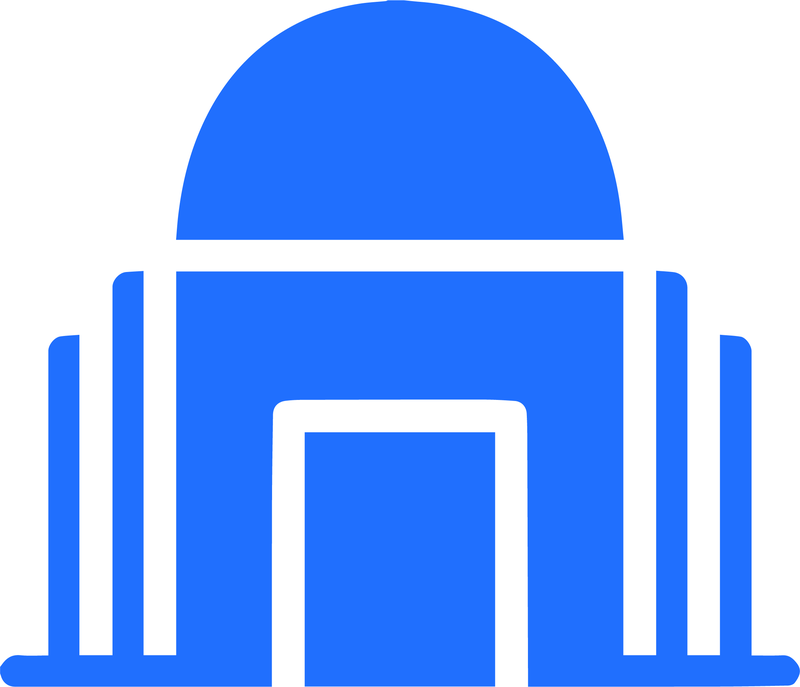 The Exhibit Building is a multi-use facility, flexible enough to be used for a variety of events. The Versatile Exhibit Hall is a blank canvas upon which the creative party planner can produce spectacular themed events for business meetings, holiday parties or fund raising events. The facility has hosted sit-down dinners of up to 1,200 people. Exhibit Building: 22,000 sq. 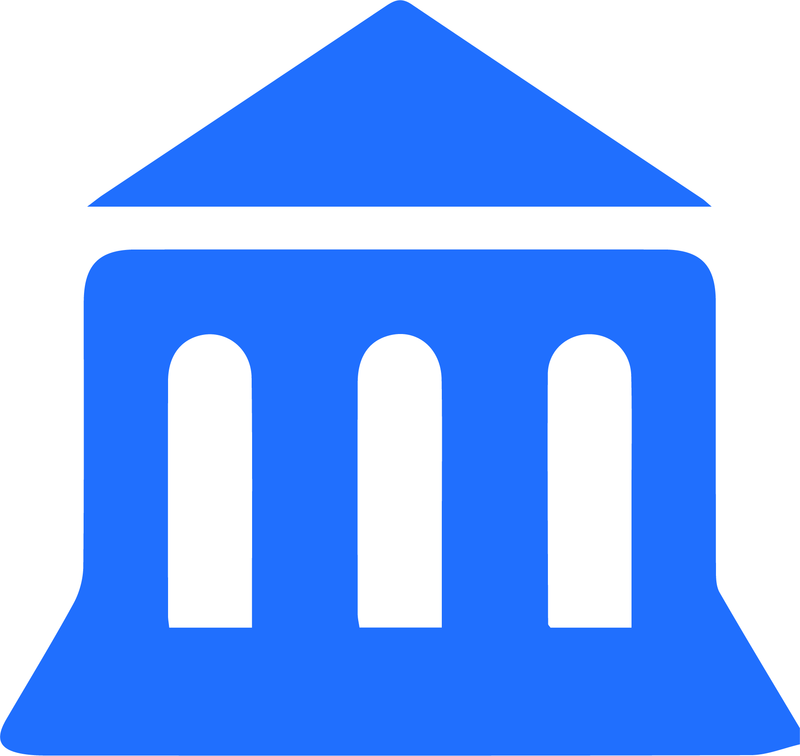 ft.
‍Exhibit Building Rental Includes: Basic utilities, use of PA and phone system and basic clean-up prior to each day’s first performance. 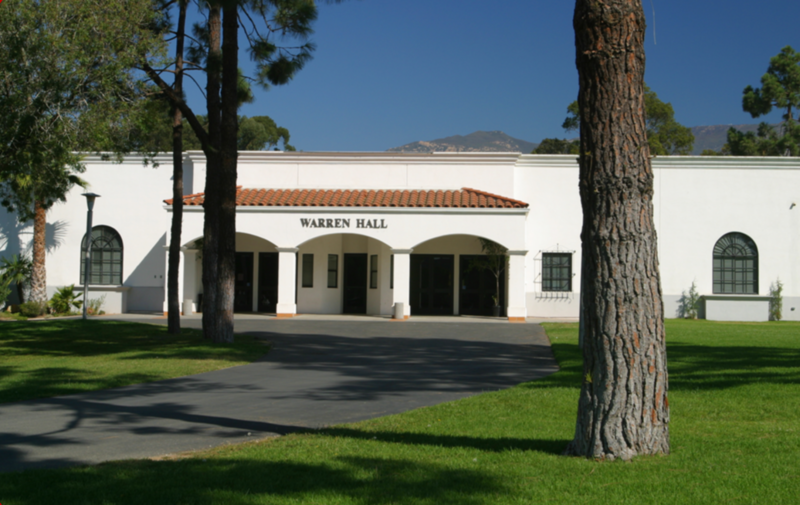 Warren Hall is one of the largest public banquet and meeting hall facilities available in the Santa Barbara Area. the Warren Hall can provide up to 13,000 sq/ft of meeting space (70′ x 188′) with 12′ ceilings. The hall can be divided into three separate meeting rooms using partitions and a full height retractable wall.When fully open Warren Hall can seat up to 700 people for a catered meal and can seat up to 1,400 in a theatre-style configuration for business presentations. Warren Hall contains a kitchen, a built-in food access area that can be converted into a bar, and a soft lighting option. The Hall can be equipped with a full stage, dance floor, chairs, tables and a sound system. The versatile Warren Hall can be used for variety of events. 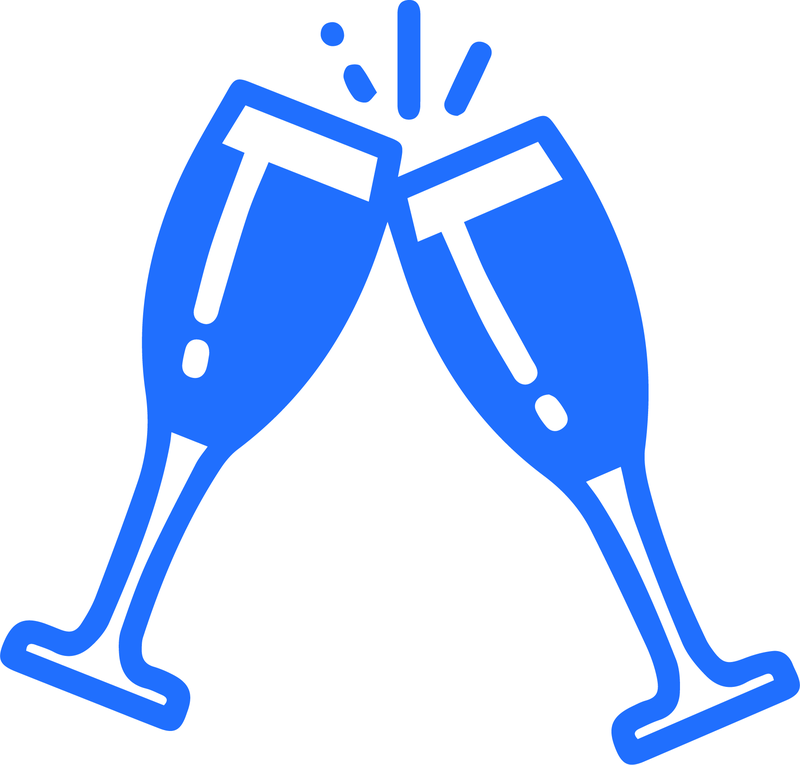 When designed with stage, dance floor and decorated tables it can be the ideal venue for a wedding reception, private party, quinceanera or fund raising event. When configured with a stage, podium and theatre style seating it can comfortable accommodate business meetings or presentations. The open configuration of the hall can effectively be converted into exhibit booths for use in trade show presentations. For small, intimate gatherings a full-height, retractable wall can be placed to create the Community Room. 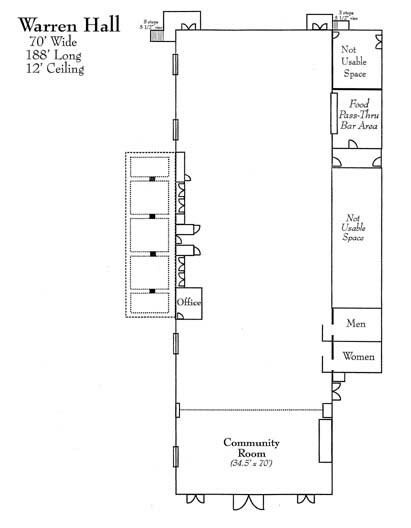 The Community Room is approximately 2,415 sq/ft (34.5′ x 70′) and can comfortably seat 100 people for a catered meal or 250 people in theatre style configuration for business presentations. 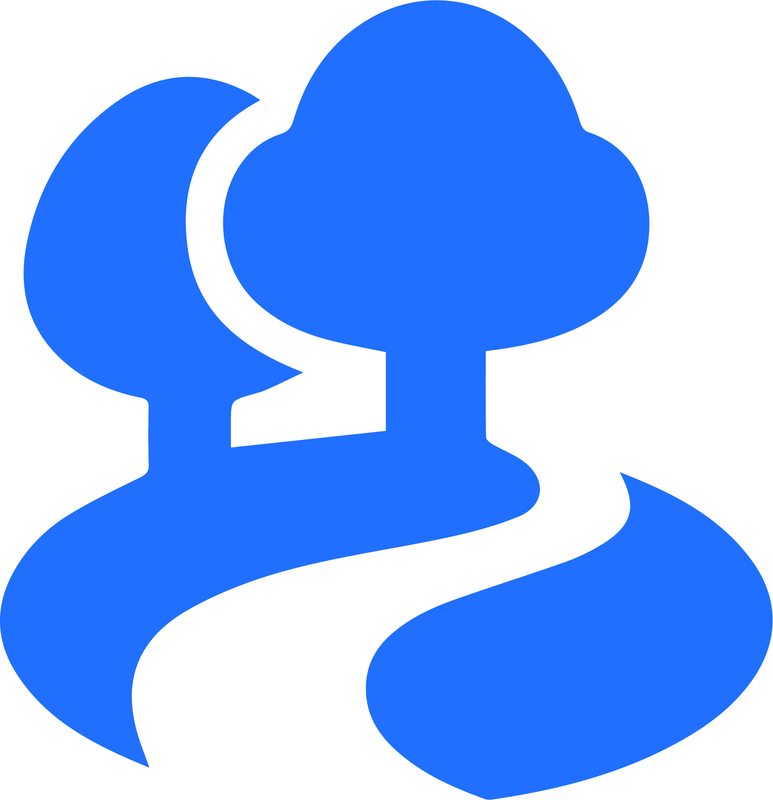 Special, mid-week Community Room rates are available for non-profit and community service groups. 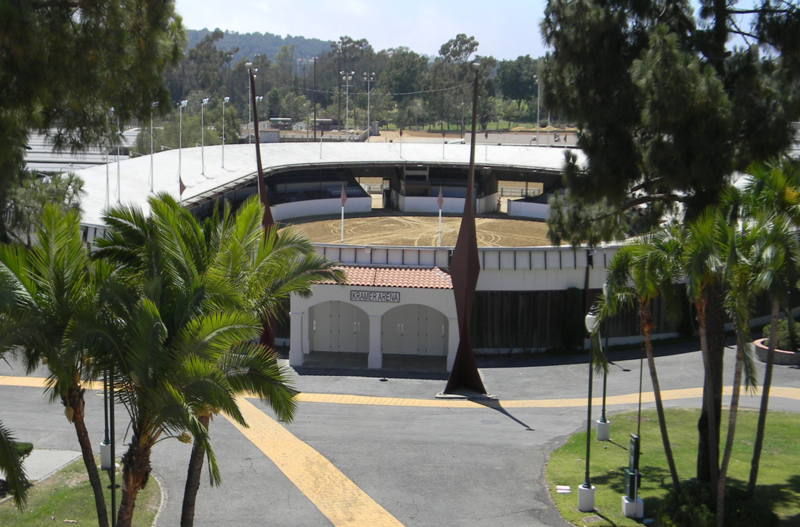 The Samuel E Kramer Arena was built in 1957 and dedicated to Samuel Kramer who originated the Santa Barbara National Horse that ultimately led to the creation of the Earl Warren Showgrounds. The oval shaped Kramer Arena was designed as horse show venue and features a 31,500 sq/ft arena floor and overhead lighting . The arena floor is comprised of a mixture of river sand and top soil that provides sure and safe footing for horses. 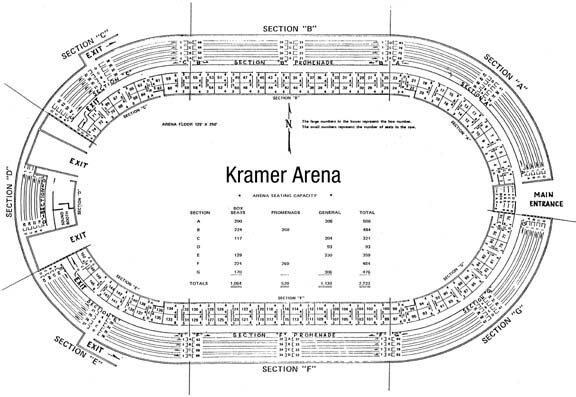 The Kramer arena has grand stand seating that will accommodate 2,750 people and the arena floor can be configured to seat an additional 1,200 people in a concert setting.While designed for equestrian events the Kramer Arena is flexible enough to be used for a variety of events. The Kramer Arena has been converted for concert use and used for other outdoor meetings. 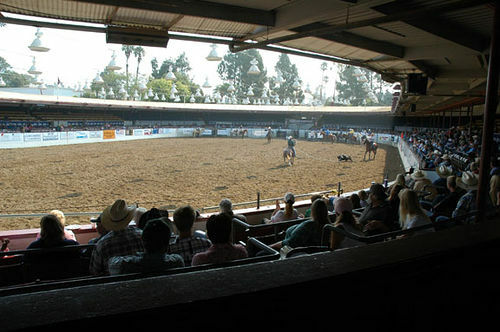 The arena has been used extensively for rodeos and other livestock events. The Kramer Arena is home to over 20 equestrian events each year including the prestigious Santa Barbara National Horse Show and Santa Barbara Amateur Horse Show. 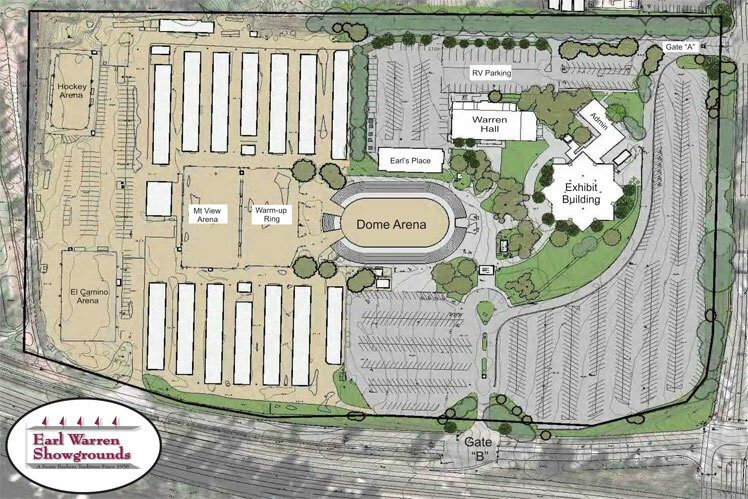 Behind the Kramer Arena are two additional arenas the Warm-Up and Mountain View Arenas which each cover approximately 34,375 sq/ft (125’x 250′) The El Camino Arena near the southwest corner of the property covers approximately 27,000 sq/ft (120′ x 225′)The Earl Warren Equestrian Center contains 600 barn stalls in close proximity to all arenas. Equestrian Center also features two equestrian wash racks with space to wash and groom eight Horses. 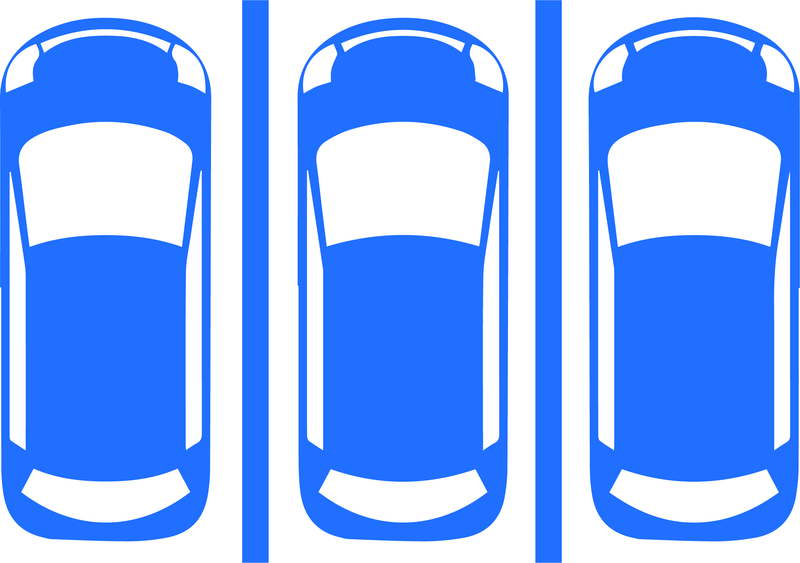 Parking spaces and open spaces in general are always in short supply in the Santa Barbara area. The Earl Warren Showgrounds has over 1000 parking spaces on the 34 acre site. With open space also at a premium locally, the Parking Lots at the showgrounds are also available to rent for special events. The parking lots at Earl Warren have been used for fairs, carnivals, circus, car shows and community public service events. Parking lot rentals are by quote. Nestled in between the Exhibit Building, Warren Hall and the Administration Building lies a completely enclosed lawn garden called the Reception Garden. The Reception Garden is well landscaped garden bordered on the north by the Administration Building patio and containing a small stage. 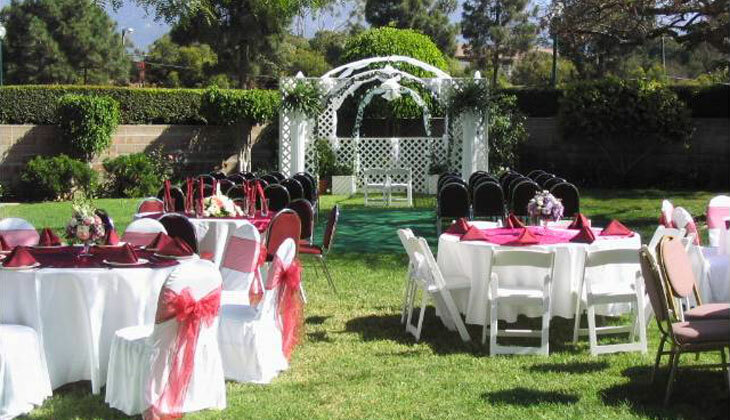 The Reception Garden can be used by approximately 150 people for a catered meal. 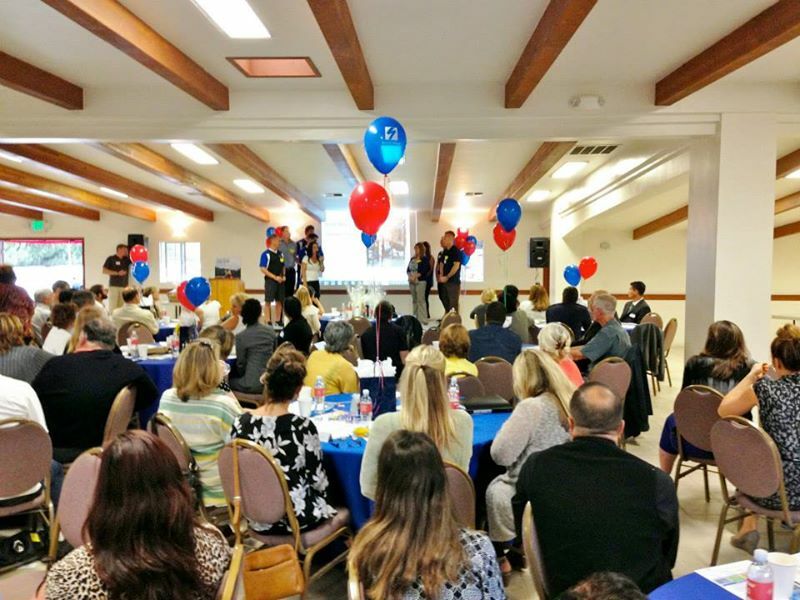 Many wedding receptions, barbecues, private parties and business luncheons have been hosted in this delightful setting.Parking spaces and open spaces in general are always in short supply in the Santa Barbara area. 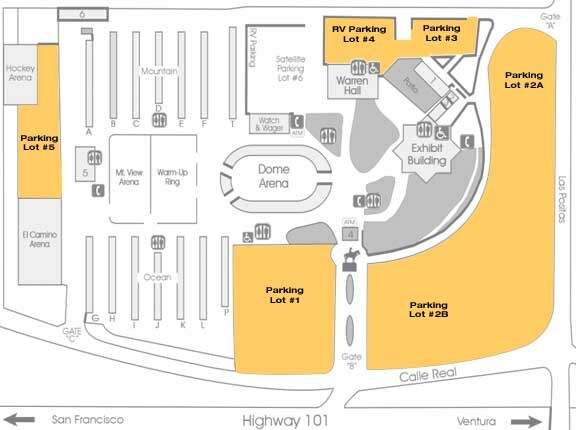 The Earl Warren Showgrounds has over 1000 parking spaces on the 34 acre site. With open space also at a premium locally, the Parking Lots at the showgrounds are also available to rent for special events. The parking lots at Earl Warren have been used for fairs, carnivals, circus, car shows and community public service events. Parking lot rentals are by quote.